Aviva Premiership – Could Newcastle be the real deal? This may be an odd question to ask following a home victory over a team that haven’t looked like winning since week one, but the Falcons briefly went to the top of the table following their 29-17 win over London Irish. The manner of victory, where the bonus point was sealed long before Irish looked like getting into the game, was clinically executed, yet they played some terrific ball-in-hand rugby to put the game to bed. They have now won four games out of five, their best start since 1997, when a young Johnny Wilkinson helped the team to a Premiership title. It is obviously early days, but with the exception of their Week three loss to Saracens in the States, Newcastle have looked like a team who knows how to win, be it in tight away contests such as last week’s breathless victory at The Rec, or putting away teams early like on Friday. Their trip to Exeter next week will be extremely tough considering the amount of success the Chiefs have had their, but I wouldn’t bet against them. The Falcons were knocked off the top by Northampton, who put in yet another stellar performance against Harlequins at home on Saturday. It was a great back-and-forth contest, but the Saints had too much in the end and won the game 30-22. I know I keep banging on about it, but it is truly extraordinary how much better this team look from week one, with Courtney Lawes especially putting in monumental performances. The England second row is surely the most competitive position in world rugby right now. Harlequins have been a bit unlucky this season, not playing badly necessarily, but seemingly being unable to put away tight games. They will hope to get back to winning ways against Sale on Friday night at The Stoop. The Sharks demolished Gloucester on 57-10 on Friday night, with wingers Solomona and McGuigan scoring five tries between them. It was a dreadful night for the Cherry and Whites, who gave away three interception tries. What is perhaps most telling about this contest is the away form of both teams. Between them, they have 4 wins out of 5 at home, and 5 losses out of 5 away. Despite completely destroying Gloucester, Sale will need to address this issue if they wish to challenge for the top 6. As for Gloucester, they look like Jekyll and Hyde home and away, such was the horror of this performance. In the weekend’s biggest fixture, Exeter travelled to Welford Road to take on a resurgent Leicester Tigers. The home side were too strong for the champions on the day, winning 20-13 in a niggly encounter. Jonny May is looking like an inspired acquisition, as he scored yet again for his new side. There were few chances for either team, but the Tigers edged the battle up front, and took advantage of some sloppy reactions from Exeter for May’s score. It’s now three wins on the bounce for the Tigers, who will look to continue their good form away to Irish next week. Saracens looked well below par, and had to work for their 3-25 win over Worcester on Friday. Against stiffer opposition they may well have struggled, but the Warriors are looking increasingly out of their depth in the Premiership, and the win was an easy one in the end. Wasps travel to Saracens next, which should prove to be a much sterner test. That is if Wasps can get out of the funk they are in. The Coventry side were beaten 9-25 by Bath, their second home defeat in a row after winning 20 on the bounce. Bath, who had also lost the last two, came up trumps in a scrappy affair thanks mainly to some brilliant defence, with the young back row duo of Zach Mercer and Sam Underhill putting in 44 tackles between them. Rokoduguni touched down once again late on to make the score line look flattering, but Bath will be happy to get back to winning ways after their slump in form. Wasps will need to improve rapidly if they’re to get anything out of their trip to Allianz Park. Pro14 – Ulster humbled in Italy and the Cheetahs may have built a fortress. Four wins from four and flying, with a trip to Zebre, whose only win came against the horrendous Southern Kings, it was surely to be a formality for Ulster. That is exactly the attitude the Belfast men seemed to have as well, as the Italians shocked the Pro14, winning 27-23. Ulster fought back late on, but it was too little too late. Zebre were well worth their win, and they look like a different team since their trip to South Africa, playing unpredictable and exciting rugby. This, however, was one of Ulster’s worst performances for a long while, so can perhaps be viewed as a blip as opposed to a slump. Still, if they wish to be in the conversation come the end of the season, then these matches need to be won, and they shouldn’t believe their own hype. Such is the quirk of the Pro14, and the distances the South Africans have to travel, the Cheetahs played their third home match in a row, and neatly dispatched the Ospreys 44-25, making it three wins from three in Bloemfontein. Ospreys haven’t got going yet this season, but this is still another huge scalp for the new boys. They have scored 173 points in their first five games and are playing some hugely entertaining rugby. However, if they wish to make the play-offs they will need some away wins. Next up, they have a fourth home game next week, against their toughest opponent yet, the unbeaten Glasgow Warriors. The Warriors held off a Treviso comeback to win 37-21 in Glasgow. It wasn’t quite the 5-star quality of last week’s win over Munster, but it was an efficient performance against a side that have been on pretty good form so far this season. Elsewhere, Leinster condemned Edinburgh to their third defeat on the trot, scraping home 21-13 winners in Dublin. The Scarlets overcame Connacht 36-27 in a see-saw affair. The Dragons bounced back from their drubbing in Ulster to see off the lowly Southern Kings in Newport. And Munster put away the Blues 39-16 in Cork, with Connor Murray inspiring upon his return from injury. 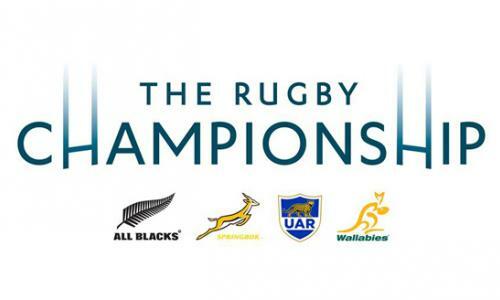 Rugby Championship – And the winner is. . . .
Of course it’s the All Blacks. It was always going to be the All Blacks. They ran out 10-36 winners against Argentina, in another one-sided affair. It is hard to know what to think about the Pumas’ involvement with the other southern hemisphere sides in the Rugby Championship. On the one hand, they lose a lot, and don’t seem to be improving particularly fast. On the other, they have picked up some memorable scalps, and they always seem to look good when the World Cup comes around. Since three became four, New Zealand have won five out of six championships. They will look to finish with a 100% record next week against South Africa, whilst Argentina will hope to avoid finishing with a 0% record against Australia. Those two sides produced another bruising 23-23 draw in Perth. Australia looked the better side for large swathes of the game, at one point leading 20-10, but they just could not put the Springboks away. It has been a disappointing championship for both sides, with each looking vulnerable in the upcoming Autumn Internationals. Don’t be surprised if we see some high profile Northern Hemisphere wins against the Boks and the Wallabies.